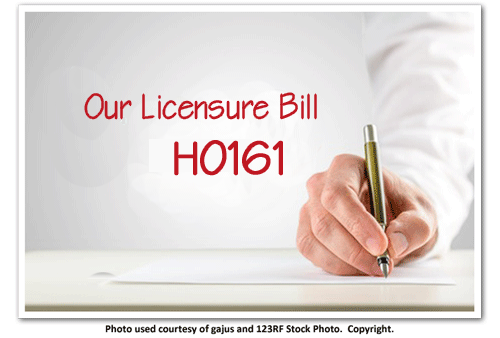 We have a licensure bill before the House. It is House Bill HO161. It’s long…it’s boring…but it is important. We think it is vital that our members understand what we are hoping to achieve with this effort. If you have questions about this bill, please contact us and we will be happy to help you. Please take the time to check it out and contact your legislators to let them know what you think about this Bill.